The in-app purchases constitute for 17% of turnover and grow up to 48% in 2017 . But more than 90 % of apps downloaded are free. The mobile application stores register for the current year 102 billion downloads, up from 64 billion in 2012. These are data collected by analyst firm Gartner, which also notes that the total turnover generated by these stores will be up to $ 26 billion this year, compared to 18 billion in the previous year. To do the lion’s share remain the free apps, which make up 91% of total downloads. The free apps make up 60 % and 80 % of the available apps, respectively, on the Apple Store and Google Play. These two stores also constitute 90% of total downloads by 2017, because of a relentless expansion thanks to wider ecosystems and a vibrant activity of the developer community. In any case, the average monthly download for iOS devices will flex from 4.9 in 2013 to 3.9 in 2017 , while the decline for Android will be from 6.2 in 2013 to 5.8 in 2017 , reflecting the trend described a little above and showing that users tend to use the same app more often rather than download a new . The in-app purchases will constitute 17% of the turnover of the store in 2013 , compared to 11% last year, and they’re going to grow up to 48% in 2017 . The in-app purchases will also be affected by a strong growth in 2013 and 2014 , slowing down in the following years . This happens since the smart device reach more consumers in the mass market , for which the will or the ability to spend on in-app purchases is lower than users of the first hour. In any case, the in-app purchases will be the main method of monetization for app stores and developers. Gartner notes that currently is iPhone – App Store the platform on which the in-app purchases contribute most to turnover. 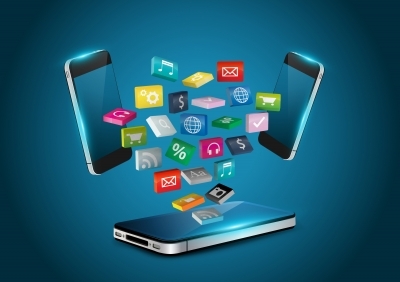 Do you spend a lot on mobile applications?